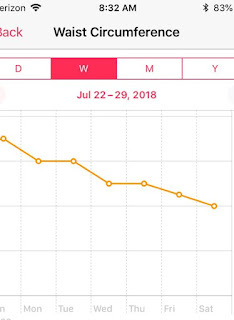 Back in April I started an 8-week journey that allowed me to lose several pounds of body fat while gaining muscle and improving sleep and energy levels. I was able to accomplish this through intermittent fasting (eating only between the hours of 8:00 AM and 4:00 PM) and the Keto diet (high fat/moderate protein/low carbs). 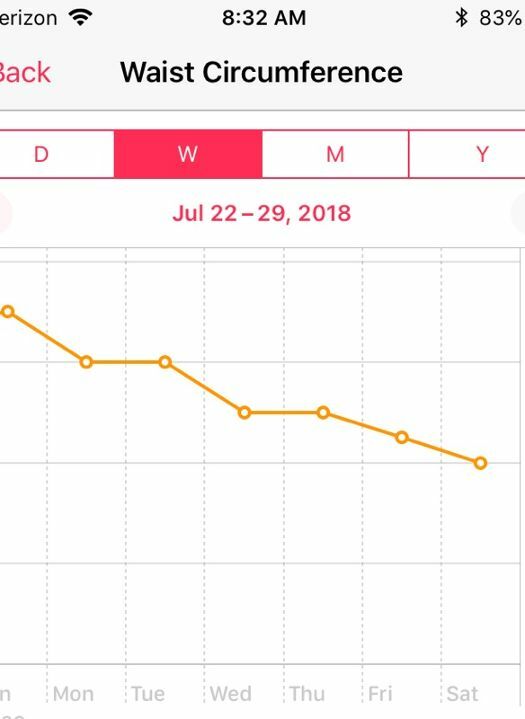 However, during the 2 months since, vacations and traveling with work (excuses, excuses) have resulted in me losing some (but not all) of those gains. On Monday of this week, I started back on this journey, but with a twist…I allowed myself to cheat each evening if I was hungry, but only with good food (healthy fats, proteins, dark chocolate). The results the past week were a ¾” inch decrease in my stomach measurement and a 4-pound decrease in body weight. 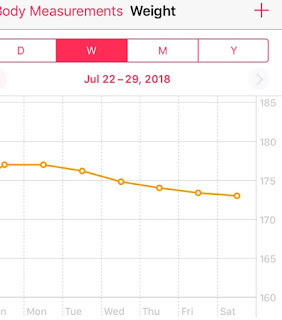 I’ve also measured my body fat percentage, but it has fluctuated based on hydration levels so I’m not sure how accurate it is in the short-term. Keep it up! It's a tough diet to stick with. I maintain it for a ~2 weeks then relax and end up with a Keto + cheat meals when I socialize. Love the charts for that additional level of accountability.